Providing you the best range of geo textile testing service, yarn testing service, toys testing services, electronics good testing services, azo testing service and fabric testing service with effective & timely delivery. 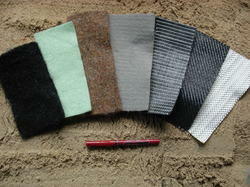 We are leading service provider of GEO Textile Testing Service. The offered service is rendered by dedicated, highly qualified, and trained professionals in the field of testing for all textiles to assure their resistance to the harmful effects of sunlight or artificial illumination is critical. We offer this service to various engineering industries that cater all the special requirements of our clients. The offered service is highly appreciated by our clients for its reliable and genuine results and hassle free management. Further, our esteemed clients can avail this testing service form us at easily affordable price. We are actively committed towards offering a reliable Yarn Testing Service to our clients. Our adept professionals offer this testing service to various textile industries to assure strength and quality of yarns. Our experts make use of modern testing machines and technology to render this service within fixed time frame. Widely acknowledged for accurate results and timely execution, we offer this testing service from us at cost-effective prices. Toys Testing Services is the awareness of potential hazards relating to children's products, childcare articles, durable nursery goods, and toys, is at an all-time high due to multiple highly publicized product recalls over the last few years. Another product category has been scrutinized as intensely as toys. Consumers, Government agencies, industry attorneys, Non-governmental Organizations (NGO’s), and multiple consumer advocacy groups around the globe have challenged legislatures to enact laws that would further protect its most vulnerable citizens, children. 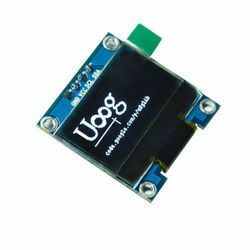 A vast array of Electronics Good Testing Services and analytical techniques to evaluate suitability and performance of materials—from R D activities to problem-solving and QC evaluations in chip packages, printed circuit boards (PCBs), flex circuits and solder/solder bump arrays. 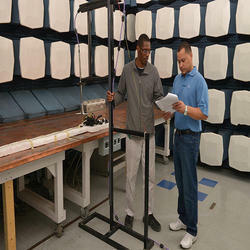 We also evaluate the bands, cases, screens and fabrics used in finished products for biocompatibility and performance. In response to ever-changing governmental regulations and the ever-increasing consumer demand for high quality, soft lines testing and Azo Testing Service helps to minimize risk and protect the interest of both manufacturers and consumers. We are a recognized entity, engaged in offering a quality oriented Fabric TestingService within fixed time detailed by our clients. This testing service is rendered with the support of our adroit professionals, who posses vast experience in this domain and render in compliance with set industry standards. In order to help the textile industry and apparel industry monitor quality, we use ultra modern testing measurement and tools. 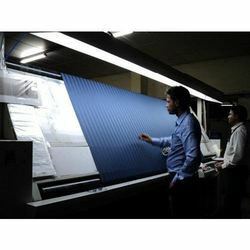 By rendering this service, our adept professionals render this service to apparel manufacturers, clothing retailers and fashion wholesalers to evaluate the quality of the fabric.